Tertiary septic systems are used on properties where it is impractical or even impossible to install a conventional septic system. 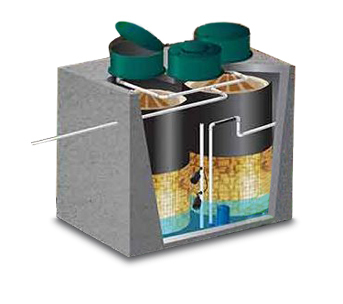 The tertiary system treats the wastewater to a higher level than a septic tank. The treated effluents are discharged into a much smaller area, and it uses aeration to accelerate the time to break down solids. Some of the common systems used are Norweco (Hydro-Kenetic) and Waterloo Biofilter, as well as non-mechanical systems such as Elijen and Enviroseptic. 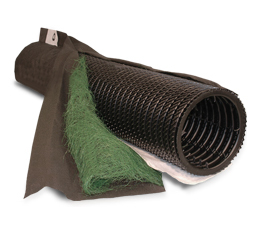 The key to the Waterloo Biofilter system is the absorbent foam filter medium that has been optimized to physically filter and biologically treat sewage. This filter medium is warrantied for 20 years and will likely last generations.